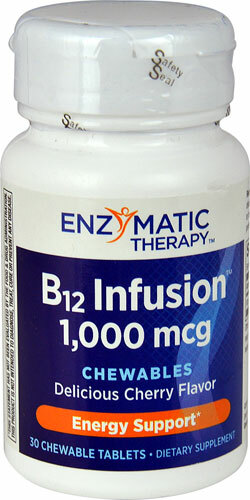 is made up of two products aimed to work in synergy to promote brain health and prevent malfunction. There are many ways to care for the brain and many products we adore and recommend for this purpose. When one is on a budget and unable to get them all, these are the two ESSENTIALS that we always recommend for strict vegetarians and vegans. (1) The origin of omegas is from the initial marine source which is algae and the capsules are cornstarch-based. (2) The algae omega-3s are same important biological and anti-inflammatory EPA and DHA molecules, However, Algae Omega does not come combined with three additional anti-inflammatory compounds found in the ProDHA Memory formulation. Below is the list of products in this kit. Algae Omega is a pure vegetarian source of omega-3, offering a unique combination of EPA and DHA without the use of fish. We choose Nordic Natural brand because they are the most trusted name in omegas. 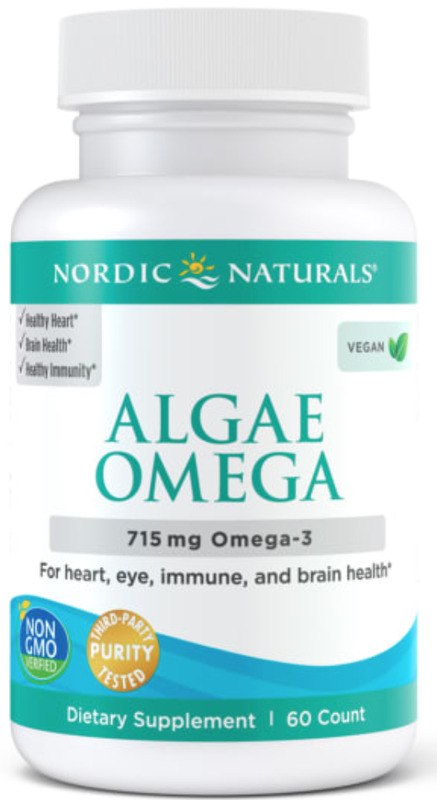 Every batch of Nordic Naturals algae oils derived from special algae, not unlike the marine source, is tested by a third-party certified lab for environmental toxins, including heavy metals. All algae oils are in the triglyceride form and surpass the strictest international standards for purity and freshness (lack of oxidation). Two soft gels daily, with food, or as directed by your health care professional or pharmacist. We suggest at lunch or dinner. 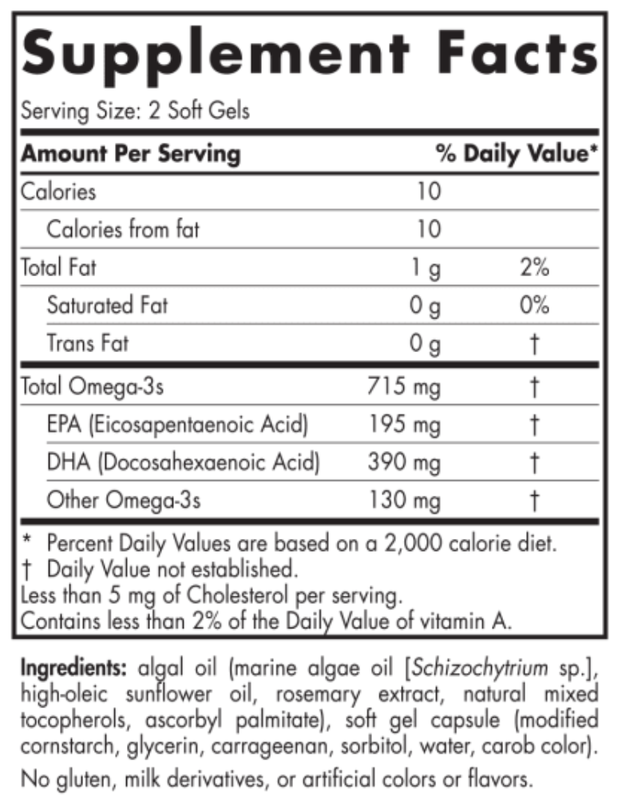 Two soft gels contain 715 mg total omega-3s, slightly less than the ProDHA Memory dosage per serving. Video on what to look for when using an Omega supplement, and why the Omegas offered in this kit are superior. All suggested uses and doses recommended here are only recommendations, and may differ from that described on the bottle. One should always speak to their doctor or health physician, and do their own research before taking any supplements or vitamins. Not evaluated by FDA. Suggested use: Take one daily, or as directed by your health care professional or pharmacist, chewed or dissolved in the mouth. Product Testimonials content will be upload soon...!